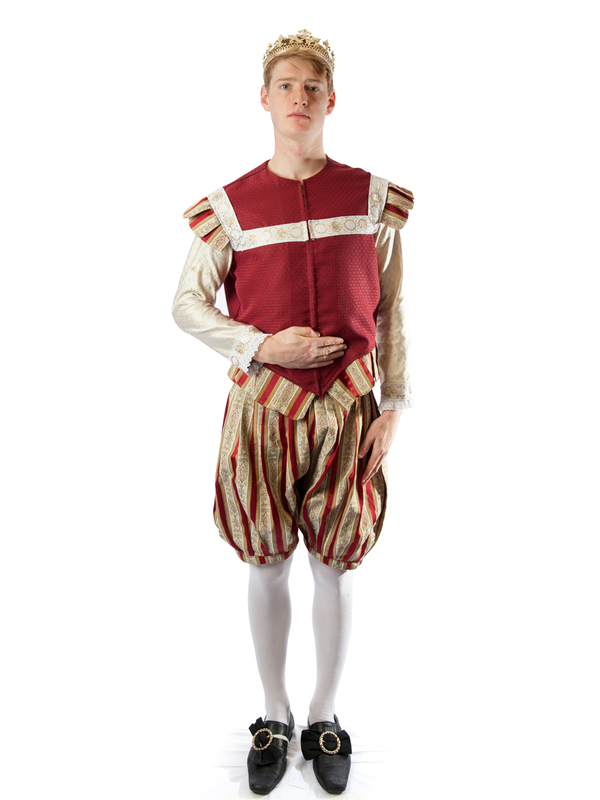 Tudor Prince mens costume for hire. Great for a medieval or TV theme, costume could be used for characters from Black Adder or The Tudors. 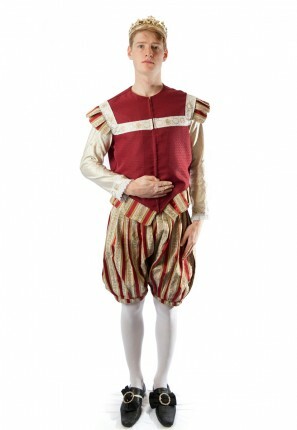 Includes historical style pants, Elizabethan jerkin, high socks, shoe buckles and gold crown.